The internet. It is a vast and never-ending source of content, images and inspiration from around the world. 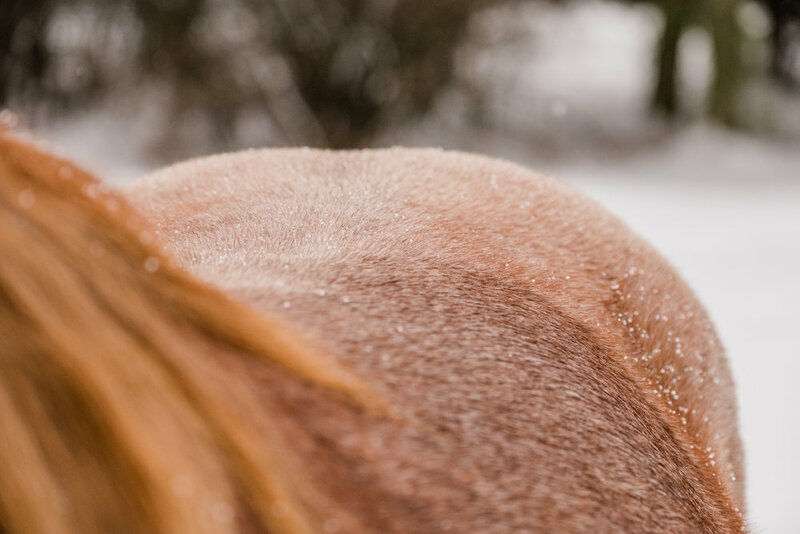 I blame the internet for my fixation on wanting to do an equine bonding session in the snow. 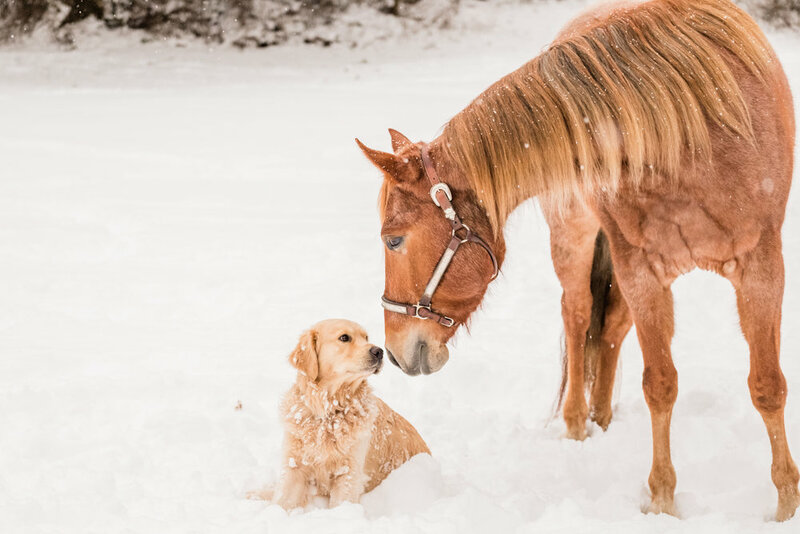 Seeing all the majestic snowy scenes from the midwest sparked in me a deep desire to see what would happen if we popped a horse and rider in a snowy field. I had it all planned out. The scene, getting a horse and model on board, the outfits (I really wanted to go for winter cozy and a little fashion flair of a billowy dress in the snow). One problem...I live in Southwest Washington where seeing snow is a rare and often last minute weather phenomena. Where winters are cold, but rarely come with snow. Where IF it does indeed snow, it is gone before you can put your snow clothes on to go out and play. So imagine my surprise when the forecast called for significant snow fall and it ACTUALLY happened! I contacted Grace (my wonderful model client) and we planned on a shoot for the following Saturday. Well, when Washington decides it wants to snow, it really goes for it! The day we settled on for the photo shoot was a cold and brisk Sunday afternoon. It had been snowing for a few days and we knew the drive up the barn would be sketchy. The trek up through the snow covered hills would prove to be well worth it. My husband handled the icy road like a pro and as we rounded into the snow covered driveway, the beauty of it all just stole my breath away! It was time for our adventure. 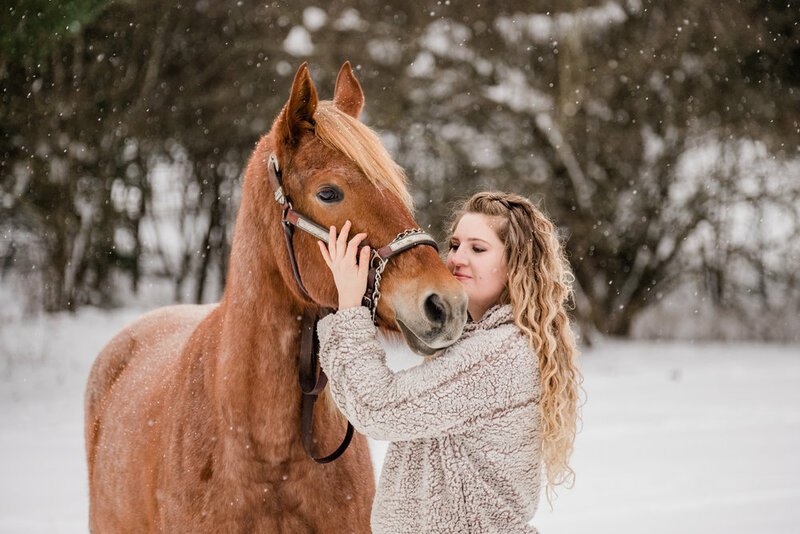 Grace introduced me to her horse FireFly and I instantly fell in love! FireFly was an absolute dream to work with. Not only is she absolutely gorgeous, but she had the most amazing personality. If you’ve ever been around horses, you know that mares can be quite temperamental at times and I was prepared for some diva like attitudes. However, they never presented themselves! She was an absolute dream to work with. As we progressed through our photo shoot, Grace’s dog Pistol came out to play! 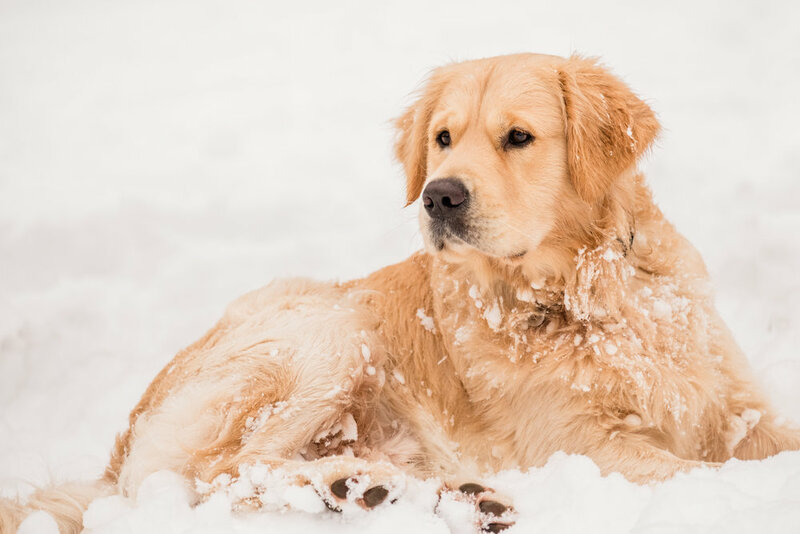 I as able to include a pet photography session as well! Pistol was a wonderful model. 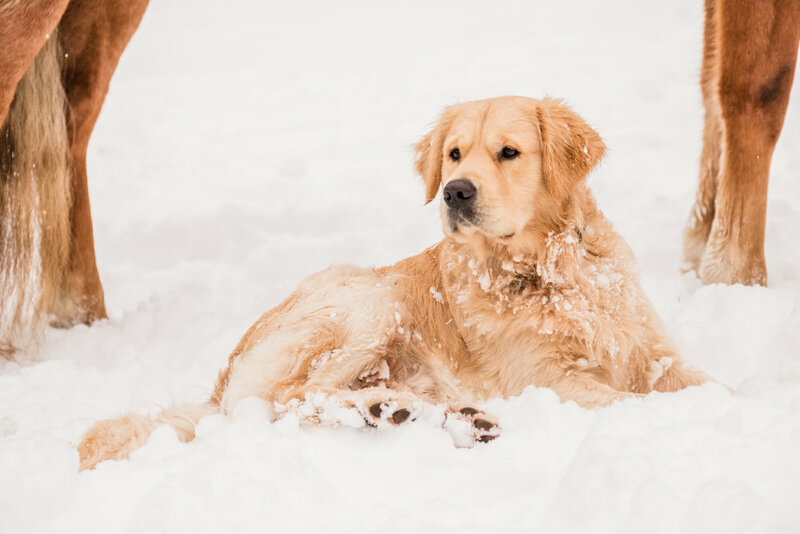 He loved being with FireFly and frolicking in the snow. The retriever in him was very evident! 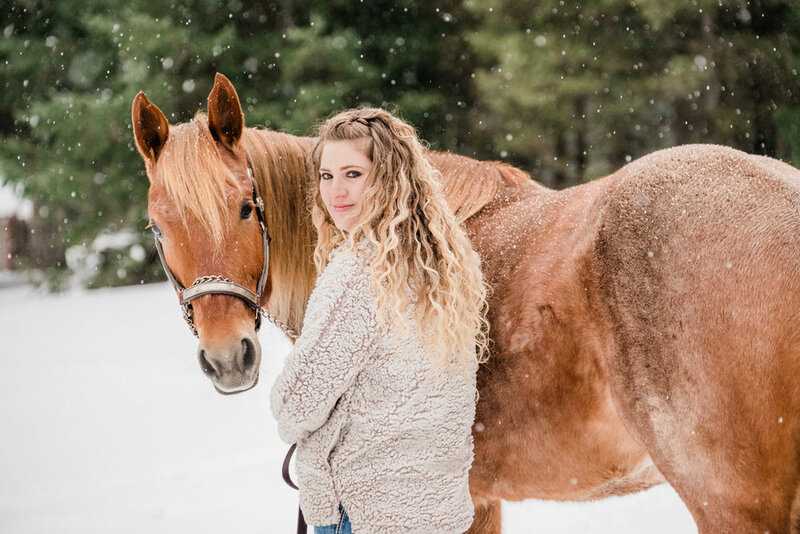 The session was everything we had wanted; a dreamy snow covered pasture, snow falling from the sky, a beautiful horse and GORGEOUS model, handsome pup running around, could it get any better than this? That was right around the time Grace told me she was pregnant! So of course we had to include her growing baby bump! 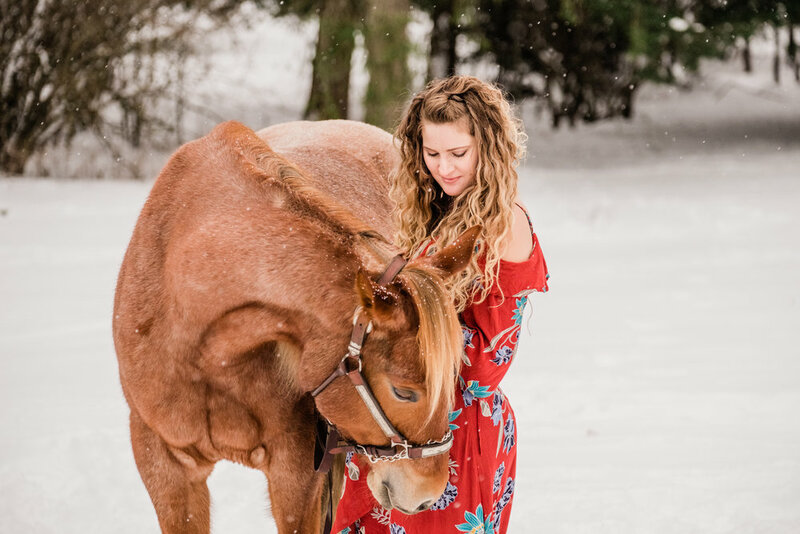 Thank you Grace for allowing me the privilege to capture the bond between you and FireFly and congratulations on the upcoming birth of your little cowboy!! And thank you Washington, for a very rare snow fall that enabled me to create these beautiful images!